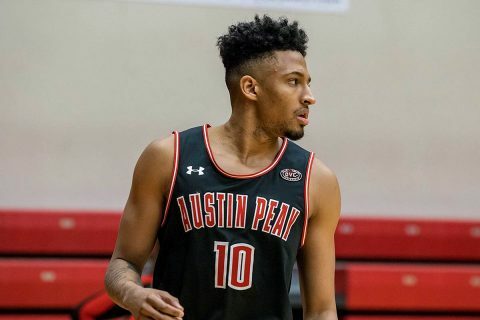 Clarksville, TN – Owing to the overwhelming hype surrounding the contest, the February 14th, 2019 men’s basketball game between Austin Peay State University (APSU) and Murray State has been moved to an 8:00pm tipoff to accommodate a broadcast change to ESPN2. This marquee event between longtime rivals has plenty of added intrigue this year; both teams enter play this weekend tied for first in the Ohio Valley Conference with 8-2 league records. The Valentine’s Day battle also will pit 2018 OVC Freshman of the Year Terry Taylor against Murray State’s Ja Morant, a likely NBA lottery pick this June. For Austin Peay, this will mark the program’s first appearance on ESPN2 since winning the 2016 OVC Championship against UT Martin. ESPN2 can be found locally through DirecTV (Channel 209), AT&T U-Verse (Channel 606), CDE Lightband (Channel 94), Charter (Channel 32) and Dish Network (Channel 143) and can be viewed online through WatchESPN. Limited tickets remain for this event; secure yours today by contacting the Austin Peay ticket office at by visiting www.LetsGoPeay.com/buytickets or by calling 931.221.PEAY (7329).